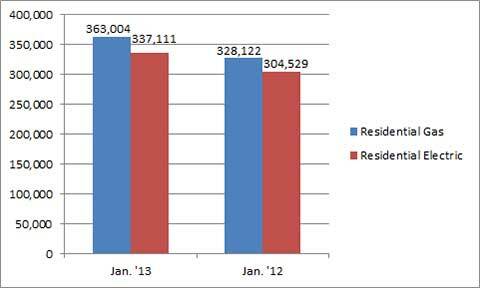 U.S. shipments of residential gas storage water heaters for January 2013 increased 10.6 percent, to 363,004 units, up from 328,122 units shipped in January 2012. Residential electric storage water heater shipments increased 10.7 percent in January 2013, to 337,111 units, up from 304,529 units shipped in January 2012. 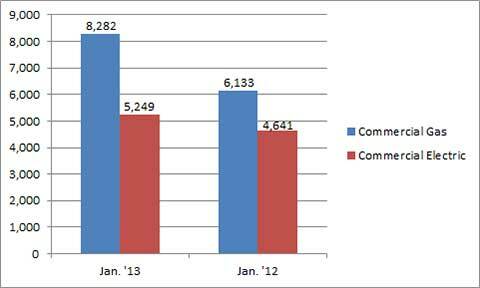 Commercial gas storage water heater shipments increased 35.0 percent in January 2013, to 8,282 units, up from 6,133 units shipped in January 2012. 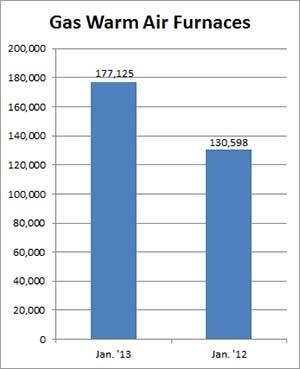 Commercial electric storage water heater shipments increased 13.1 percent in January 2013, to 5,249 units, up from 4,641 units shipped in January 2012. 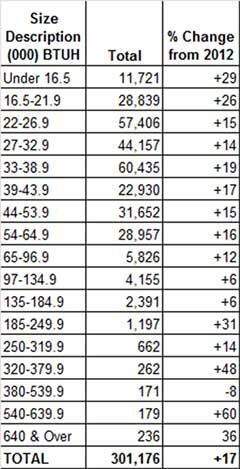 U.S. shipments of gas warm air furnaces for January 2013 increased 35.6 percent, to 177,125 units, up from 130,598 units shipped in January 2012. 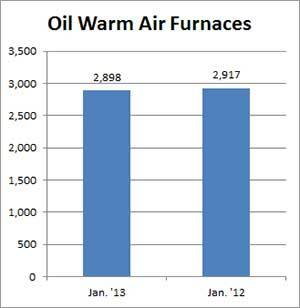 Oil warm air furnace shipments decreased .7 percent, to 2,898 units in January 2013, down from 2,917 units shipped in January 2012. U.S. shipments of central air conditioners and air-source heat pumps totaled 301,176 units in January 2013, up 17.3 percent from 256,686 units shipped in January 2012. 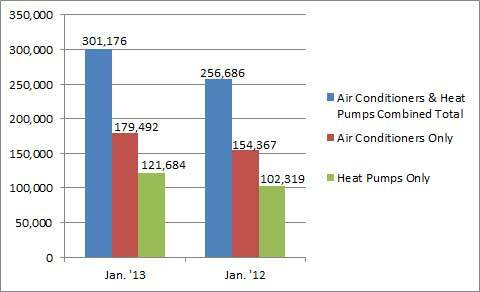 U.S. shipments of air conditioners increased 16.3 percent, to 179,492 units, up from 154,367 units shipped in January 2012. U.S. shipments of air-source heat pumps increased 18.9 percent, to 121,684 units, up from 102,319 units shipped in January 2012.